On 21 September 2018, the Japan Rugby Football Union announced that Japan would play Russia at the Kingsholm Stadium in Gloucester, England on 17 November 2018. 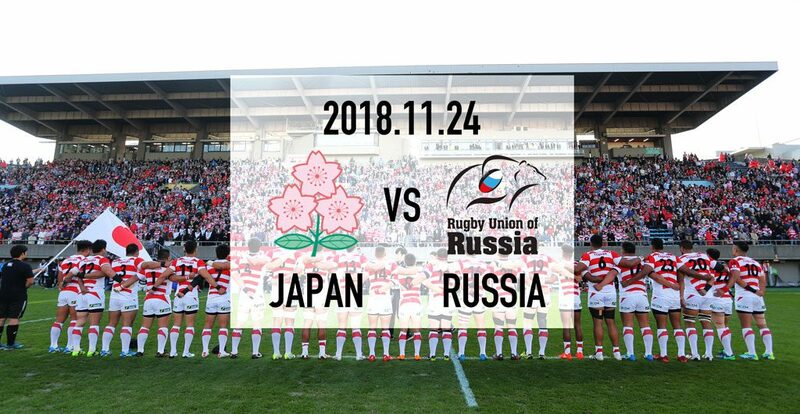 Japan will also play Russia in the opening Pool A game on 20 September 2019 at the Tokyo Stadium at the Rugby World Cup 2019 . This test at Kingsholm will be the sixth time for these two sides to meet with the most recent clash back in November 2013. Japan have won four of the five test played with Russia having won once.